19 years of combined experience in the water ionizer industry, in addition to 10 years in mechanics, electronics and related fields. We thoroughly review every aspect of the machines we test, and make sure that information readily is available so that you can make an informed decision before purchasing a water ionizer. Although we take into account the information provided by each Ionizer company, we only trust our own equipment when seeking results. We use properly maintained, laboratory grade test equipment and always make sure our findings are presented impartially and fairly. Our goal is to objectively examine the different Alkaline Water Ionizers currently available on the market and to provide information so the public can become informed about the differences before making a purchase. How is the average person expected to make an educated decision on a product as innovative as a water ionizer when so many experts have conflicting answers? This is why as ionizer experts; we take pride in answering these difficult questions with accurate answers. Every effort is made to accurately depict and describe the products displayed on this website; however, there may be errors or inaccuracies that are unknowingly published. We strive to maintain a website that is fair, accurate, and informative. If you find that any information on this website is incorrect or improperly omitted, please contact us immediately, and provide the website address, the correct or missing information, and documentation so that we may correct an error. Browsing online, you will find seemingly similar ionizers with huge price variations. Why is that? It’s easy to get caught up in the flurry of low price points and gimmick-laden sales pitches. We cut through these tactics and provide the clear and concise information you’re looking for. We are primarily concerned with revealing both the strong points and weaknesses of each machine we test. Our analytical minds, with 19 combined years in the water industry, will help you take a step back and truly analyze these machines for what they are, allowing you to make the best decision possible. Why Do We Review Ionizers? Because each of us has received benefits from these machines, we want to provide a non-biased platform upon which you can learn and make a decision. We are passionate about Alkaline Water Ionizers and believe they deserve their rightful place as a medical treatment in the USA, just like they are in Japan. 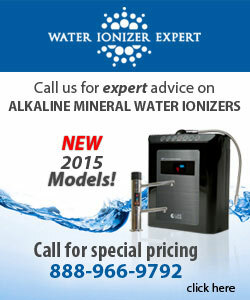 Misleading advertising and low-quality products are quickly polluting the Water Ionizer industry. The best way to remedy this is to become an informed customer before making a purchase. 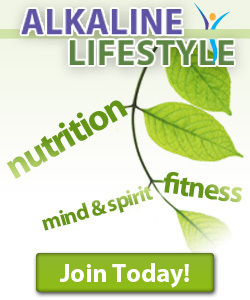 We also have some banner advertising on the site that helps pay for associated costs. Our research does include reading all the available materials from the main companies, but we always test the different Water Ionizers with our own equipment. We typically test the top-end model for each company, but we also test smaller or more inexpensive Ionizers so that you have a wider range of information available. This is always an interesting aspect of our project. Almost all units have basic features like auto-cleaning, LED displays, sensors, multiple pH settings and so forth. We appreciate the Ionizer companies that continually innovate and build upon the technology in the field. When consumers are armed with accurate information and comprehensive comparisons, they can make decisions based on their needs. With this in mind, please take your time in reading and studying the material we have provided. We have purchased and tested machines from China, Taiwan and Malaysia and because of the inferior materials (especially the titanium plates and electronics) we do not include them in our reviews. They are inconsistent in testing and many fail after short use and with extended use there are a myriad of problems. The two best countries for quality machines are South Korea and Japan.